Renate Behle studied in Graz and Rome before beginning her career at the Baden State Theatre in Karlsruhe. 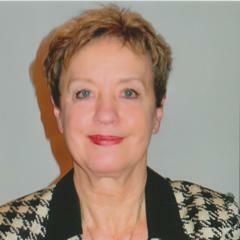 After the birth of her son she joined the chorus of the North German Radio as first alto in 1974. Five years later she was engaged as a lyric mezzo-soprano at the Musiktheater im Revier in Gelsenkirchen. An ensemble member of the Lower Saxony State Opera in Hanover for fifteen years, she acquired a wide-ranging repertoire of roles there, and was named Kammersängerin in 1987. In recent years Renate Behle has concentrated on roles in the dramatic soprano/mezzo-soprano Zwischenfach, and has sung roles such as Herodias and Klytämnestra at the Semperoper Dresden and Berlin State Opera; Aufseherin at the festival in Aix-en-Provence, at La Scala Milan and the Gran Teatre del Liceu in Barcelona; Babulenka at the Netherlands Opera, Amsterdam; the Old Burya in Stuttgart as well as the Mother (Hänsel und Gretel) at the Bavarian State Opera. More recent engagements include Pique Dame (Countess) in Hamburg, Elektra (Aufseherin) in Barcelona, Arabella (Adelaide) in Leipzig and, in Hannover, Lot (Wife of Abraham) and Dialogues des Carmelites (Madame de Croissy). Her international career has taken her to the world’s most renowned opera houses. She has sung Leonore at the MET, Vienna State Opera and the Salzburg Festival; Brünnhilde in Cologne, Stuttgart and Austin, Texas; Isolde in Los Angeles and Houston; Ortrud Madrid as well as Salome in Milan. She has enjoyed a close association with Hamburg State Opera, where she has sung all the major roles of her repertoire, from Sieglinde to Brünnhilde, Elisabeth in Tannhäuser, Katarina in Lady Macbeth of Mtsensk and Ariadne. Her successful involvement with Wolfgang Rihm’s work includes his opera Das Gehege, which she sung at the Bavarian State Opera, and Penthesilea Monologue in Basel. 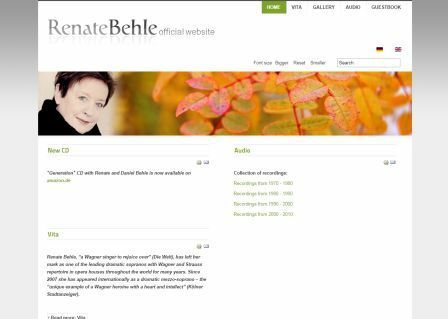 Renate Behle’s recordings include: Zemlinsky’s Der Kreidekreis (with S. Soltesz) and Spohr’s Jessonda (G. Albrecht), Rihm’s Die Eroberung von Mexico (I. Metzmacher) and Penthesilea (M. Venzago), Beethoven’s 9th (M. Gielen), as well as Fidelio and Die Walküre on DVD.